The Red Rebels have successfully pulled off their merger, integrating the dwindling but still-competent forces of the Valhalla Damned into their growing ranks. With this, some of the Kingdom’s most renowned fighters have joined forces, and now, Jarls all over the Kingdom wait to see what comes next. Will they exert their power quickly, or will they continue to find their groove, waiting for the right moment to take action? Fortunately for those with little patience, the wait would not be long. 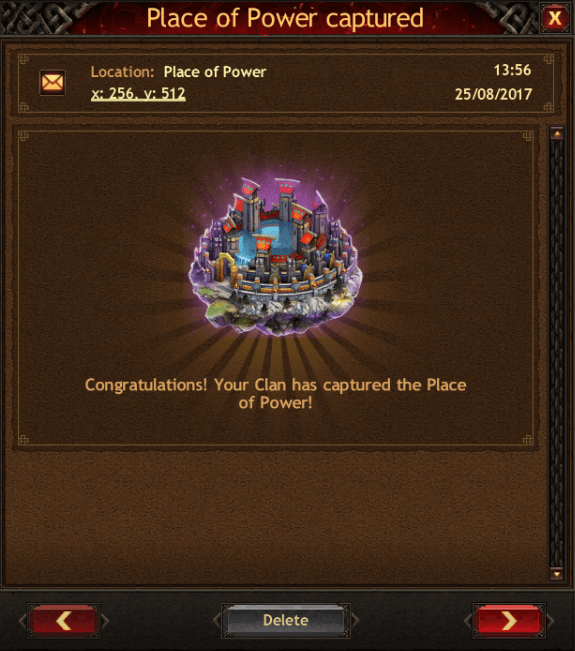 Quickly, with their roster burgeoning and overflowing, they rapidly crushed their enemies in the most recent Clan vs Clan event, easily overpowering them in the process. In addition to this, they rallied their forces and struck out, taking the Place of Power for their own and planting their flag deep within its roots, daring any challenger to come and try and take it from them. 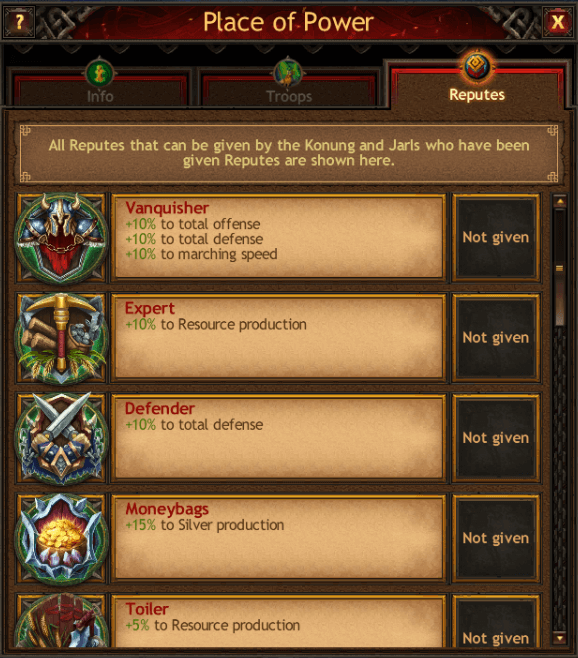 Already they have seen their might grow in recent days, with the heavy recruitment of new fighting men and woman, but now, with the Place of Power firmly in their grip, they can begin charging a silver tax on all the other Chieftains within the realm, demanding 10% of all their silver to be sent to them. And the benefits do not end there. 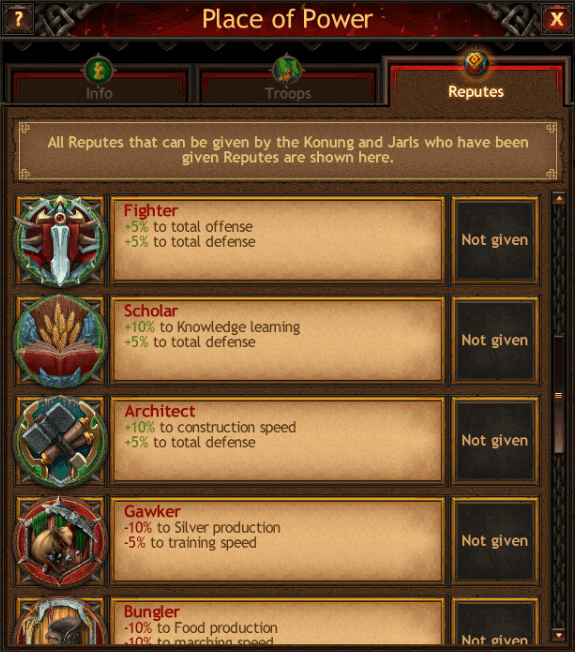 They will also gain the numerous buffs to unit strength and town production that come along with being the ruler of the Kingdom. As seen above, they will drastically increase both their production, building times, and offensive and defensive abilities. In addition to this, they will be able to apply debuffs to those who do them wrong. 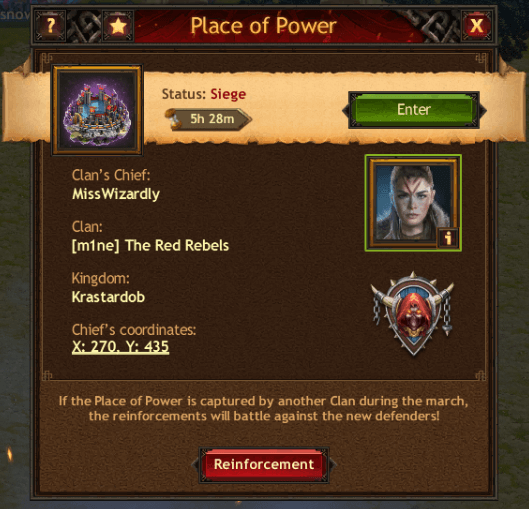 However, the Red Rebels have proven that they are not dead-set on issuing a campaign of war against the entire Kingdom of Krastardob. No, quite the opposite, as their leadership has just recently announced that they have formed new alliances and that these Jarls are to be left alone and not attacked. 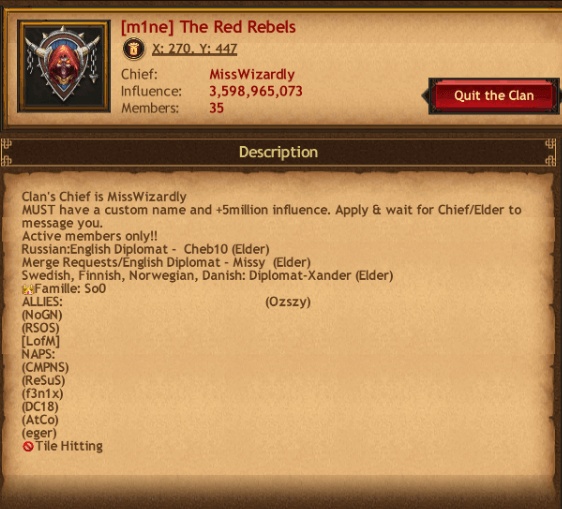 These allies include the following, the Reaperz, Lands of Midgard and the No Game No Life clans. 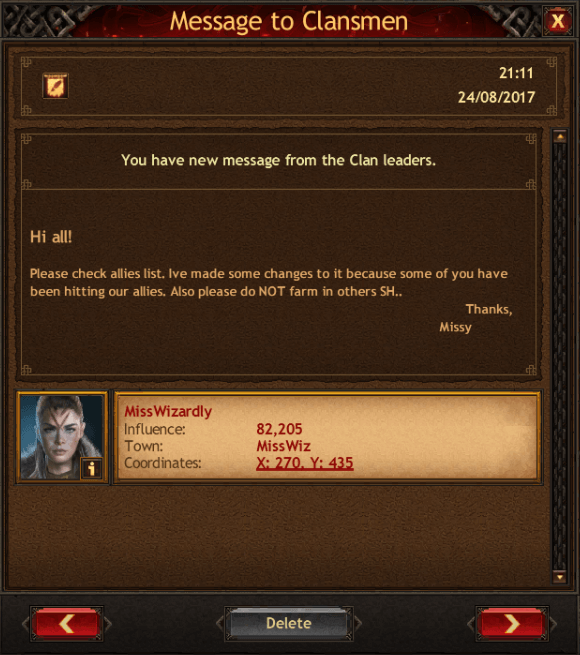 All of which will help them in the future against their common foes in Clan vs Clan events and Kingdom vs Kingdom campaigns. What comes next for the lands of Krastardob is anyone's guess. As the Kingdom continues to consolidate its power and base, it becomes a leaner, meaner fighting machine that is destined to proudly expand and defend its borders against any and all opposition that presents itself.